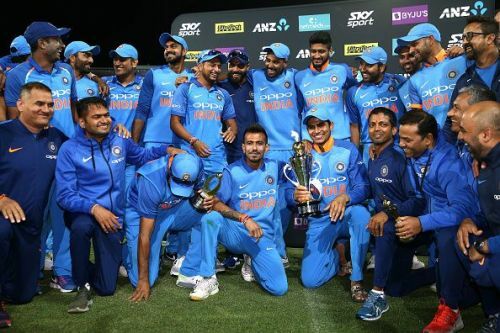 India comprehensively defeated New Zealand in the ODI series to cement their status as one of the frontrunners for the World Cup later this year. A major blip at Hamilton aside, the visitors had an answer to every question the hosts posed. Thus, the hosts would look towards the T20I series to restore some parity and ensure India don’t run away with all the spoils. The first T20 is going to take place at Wellington on Wednesday and with India chopping and changing over the last couple of ODIs, one can expect them to field their strongest eleven to draw first blood. Yet, it is quite difficult to establish what India’s best combination in the shortest format is. Thus, through the course of this article, we would chalk out the eleven that should take the field on Wednesday and why those changes are necessary. Without further ado, here is a look at them. 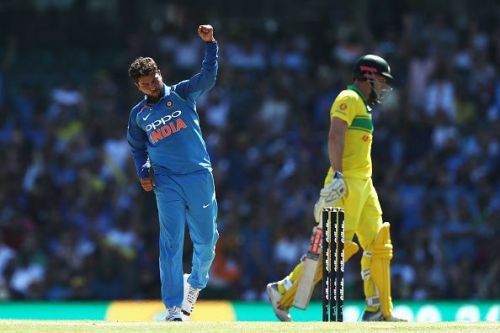 For the final game at Wellington, India rested Kuldeep Yadav to give Vijay Shankar another bite at the cherry. Though the latter performed admirably before indulging in a comical run-out, he might just be the unlucky one to miss out on Wednesday. Throughout the ODI series, the New Zealand batsmen looked at sea against India’s spin twins. While Chahal bagged the lion’s share of the wickets, it was the pressure built up by Kuldeep which helped the former to run riot. Thus, with such a beautiful partnership blossoming between the two, it makes no sense to not play the duo in tandem. Moreover, Kuldeep is more suited to the T20 format as batsmen are left with no other alternative but to make the play. And with the left-arm spinner a skilful operator, the opposition batsmen invariably perish. Additionally, in a T20 game, it is ludicrous to insure oneself with batting security too low down the order. If Pandya is fit, he would assume the all-rounder role and slot easily into No.7 and a player of his calibre at that position is a luxury most teams can’t afford. Hence, the inclusion of Kuldeep should be a no-brainer and a decision one can expect rather than be startled at.